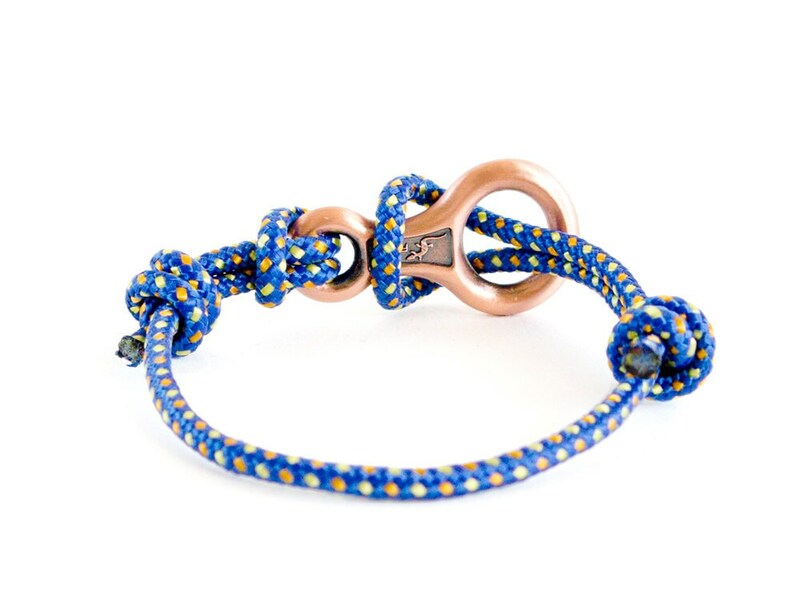 Infinity bracelet men, knotted of climbing rope and decorated with rock climbing jewelry descender. 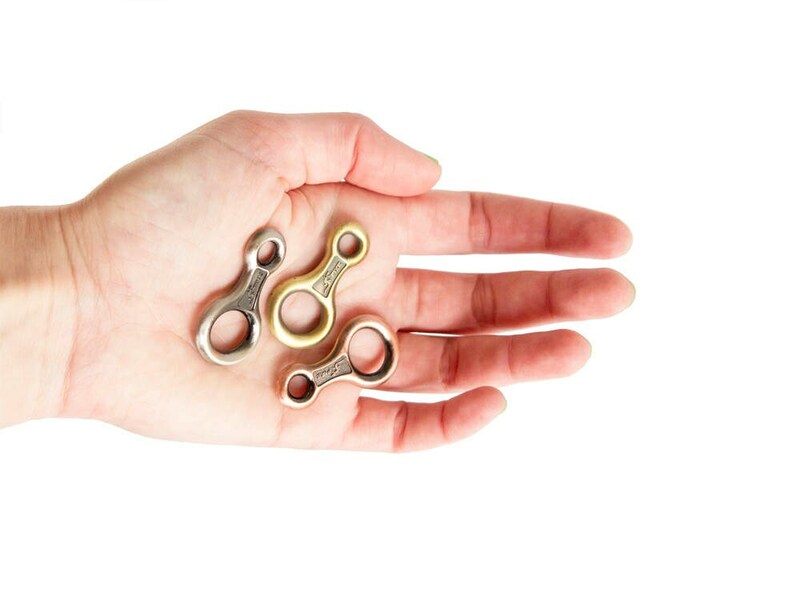 The bracelet men (men bracelete) is with a metal charm, that is minimized climbing gear - figure eight. It looks like a real miniature belay, made of some kind of metal alloy. 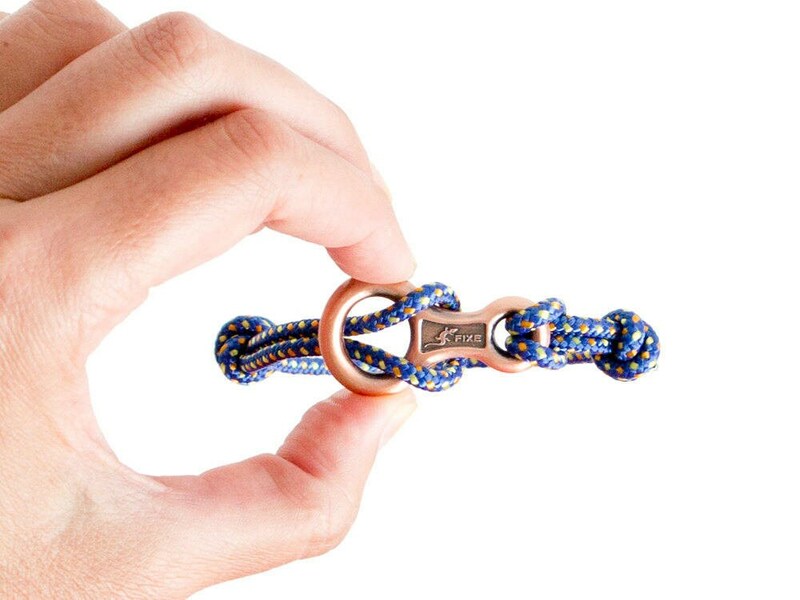 Can be used as a paracord bracelet of men and women, because you can adjust its length when you slide the knots. 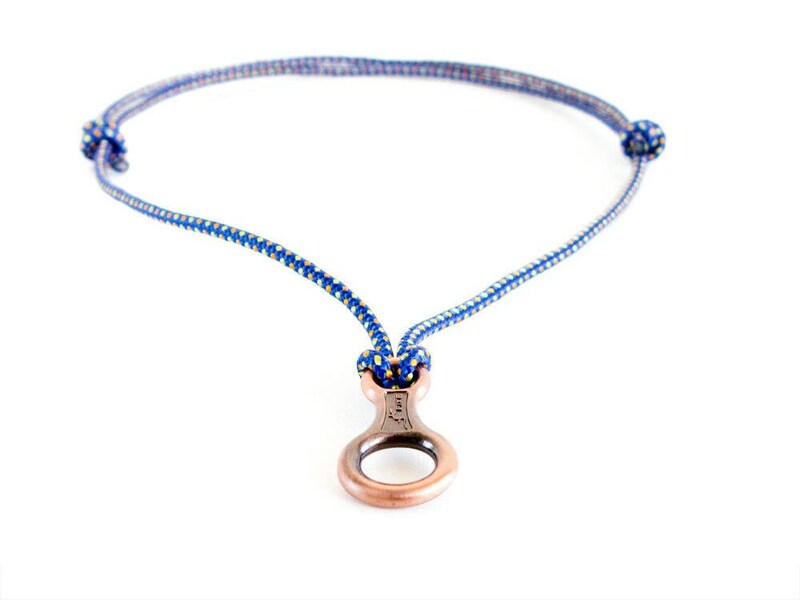 We knotted the same infinity climbing figure eight in a necklace. 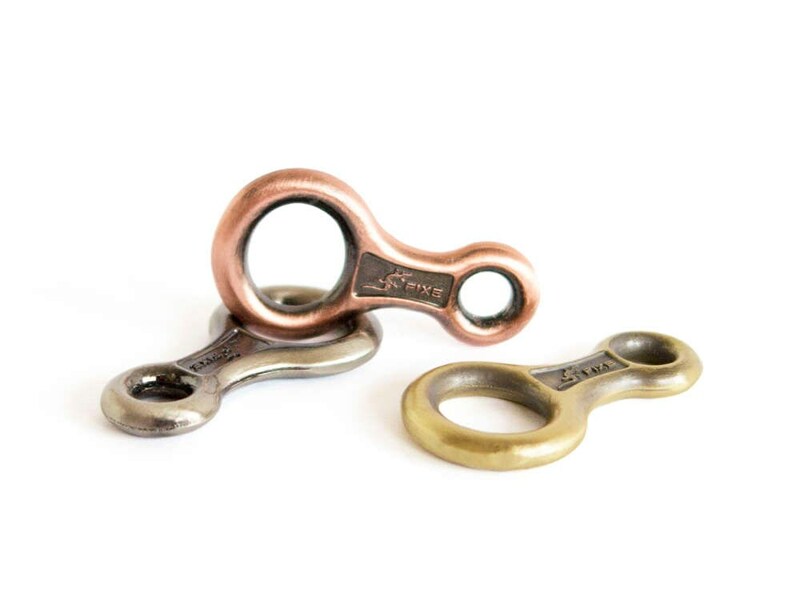 You can order this set as a gift for a rock climber. 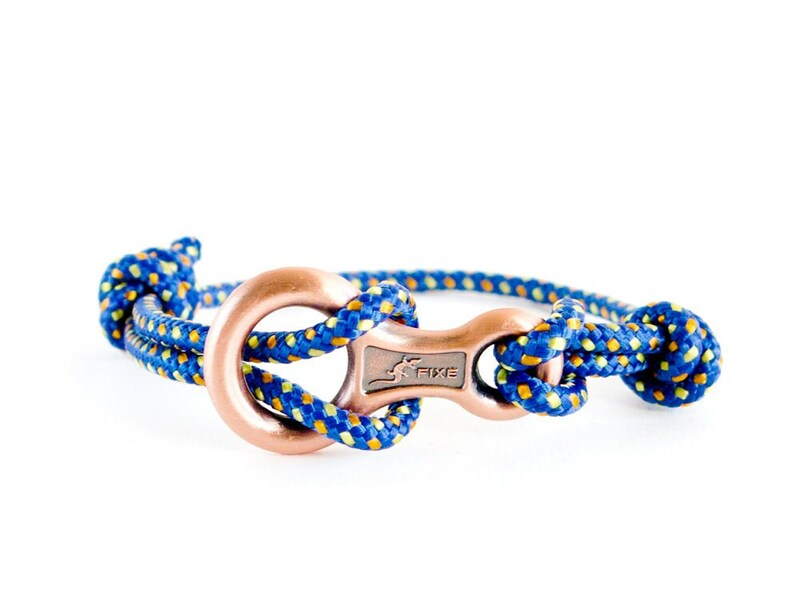 Everyone, who loves mens anchor bracelet will like it. 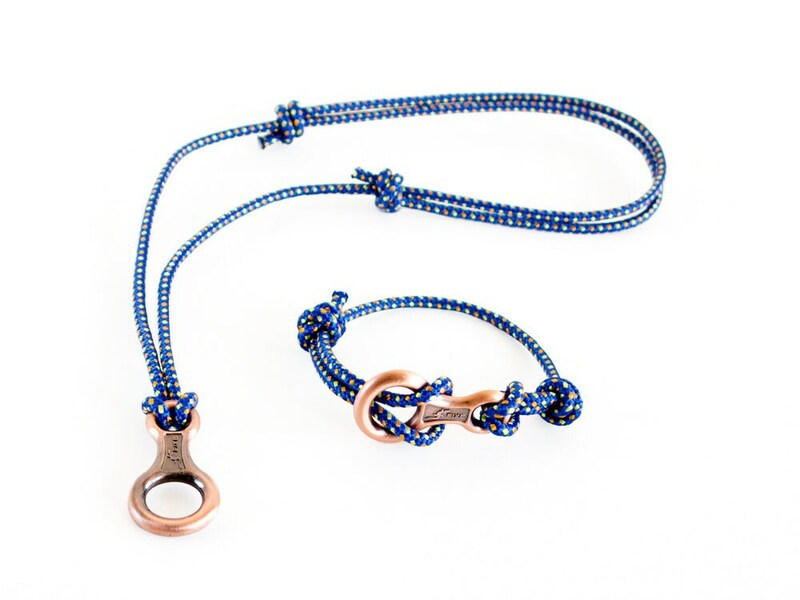 For creating this men bracelet we used climbing rope with 3 mm (1/8") diameter. The mini figure 8 - 4 cm (1 9/16") long, 2 cm (13/16") wide, 0.3 cm (1/8") thick. Max. circumference (when opened) - 23 cm (9 1/16"). You can purchase this infinity bracelet men gift wrapped.